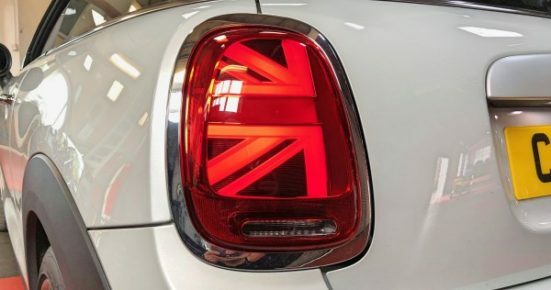 Mini F56 LCI Union Jack Rear Light Retrofit. We offer this retrofit for all F56 Mini’s. Regardless if you have the basic factory fitted filament rear lights or LED’s, we can make this retrofit happen for you. Only genuine Mini parts are used to complete the retrofit. Once complete they will look and function like a factory vehicle (unlike others, no additional wiring or aftermarket modules are used, making this a vehicle clean retrofit). The cost of this retrofit is £595.00 inc VAT. (This price is subject to change in line with BMW’s current retail price).